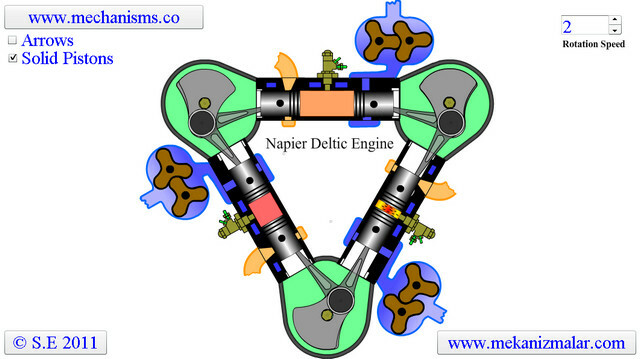 A video of how a Napier Deltic Engine work. I am not going to write anything about this engine, but Click Here for an excellent wiki page about Napier Deltic engines. I enjoyed it a LOT, and hope that you will like it too. Very good , My Farther's name was Napier and my Mother was from Manchester where these were built . great design. Why not just have two cylinders opposing each other first? That will still be a balanced configeration.